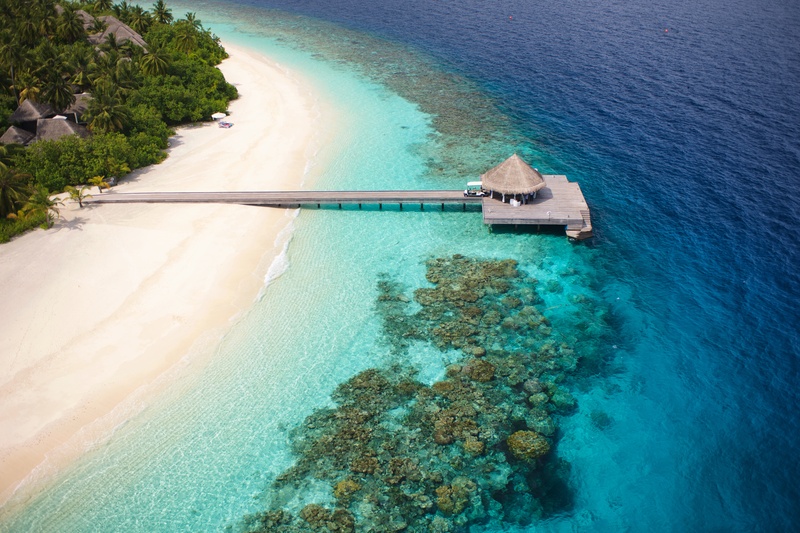 KONOTTA, MALDIVES – The Outrigger Konotta Maldives Resort is offering a special half board package that guarantees up to 40% discount as part of its limited-period 1st anniversary celebrations. To enhance family bookings during school holidays, kids below 12 are entitled to stay on complimentary basis and join the parents’ meal plan. Kids can participate in the Coral Kids activities and learn how to make pizza or cookies, do facial paintings with nail art and henna tattoos for little girls. For children up to two years old, a babysitting service is available for free for up to two hours once during the stay – just the right time for parents to enjoy a sunset cruise or go for a relaxing massage at the Navasana Spa, where all massages are subject to a 20% discount if booked in advance along with the 1st anniversary offer. On the activities side, guests can paddle around the lagoon with a stand-up paddle board, enjoy watching coral life from a glass bottom kayak, or go on a snorkelling trip with the full-time marine biologist who also gives educational talks on request. If you are an experienced windsurfer, enjoy chasing the waves or cruise around on a catamaran. Kite surfing is also possible and is among the non-motorized water sports available at no charge. The award winning Outrigger Konotta Maldives Resort offers guests the largest average villa sizes in the Maldives. Comprising 29 Beach Pool Villas, 21 Ocean Pool Villas, two Lagoon Pool Villas and a Presidential Villa, the resort offers a complete sense of privacy and intimate luxury. Captivate your senses with innovative dining concepts, the Navasana Spa, and high-end facilities. In between your diving lesson and massage, indulge in sumptuous Maldivian cuisine or a glass of white Burgundy in one of our restaurants or the comfort of your villa. As the sun sets, sample Japanese single malts at our Teppan bar while drinking in endless ocean views. The private island of Konotta is located 211 miles (340 kilometers) to the south of Malé and conveniently accessible via a 55-minute flight from Malé to Kaadedhdhoo Airport followed by a scenic 30-minute journey on a luxurious private speedboat. Visit outriggermaldives.com.